FABRE, ÉDOUARD-RAYMOND (baptized Raymond), bookseller, Patriote, and politician; b. 15 Sept. 1799 in Montreal, son of Pierre Fabre and Marie-Anne Lamontagne; d. there 16 July 1854. Édouard-Raymond Fabre came from a family of humble origins. His forebear Raymond Fabre, a master ironsmith from Montpellier, France, immigrated to New France in 1745. Little is known about Édouard-Raymond’s parents. His father, a carpenter in Montreal towards the end of the 18th century, was married there in 1794. Eight children were born, but only the four eldest, Josephte, Julie, Sophie, and Édouard-Raymond, reached adulthood. Apart from a few sentimental reminiscences suggesting a happy childhood, Édouard-Raymond Fabre is silent in his writings about the first 20 years of his life. It is known, however, that the path he chose for himself soon separated him from his family, although he remained staunchly loyal to them all his life. The Fabres were not well off but they were not among the large number of poor to be found in Montreal throughout the first half of the 19th century. 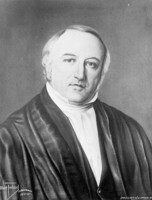 Consequently Pierre Fabre was able to send Édouard-Raymond to the Petit Séminaire de Montréal, where he studied from 1807 to 1812. The following year, at the age of 14, the boy became a clerk in the hardware store of Arthur Webster, who ran one of the biggest commercial establishments in Montreal; he worked there for nine years. In this firm he familiarized himself with all aspects of business practice: bookkeeping, credit, financing, and management for profit. Fabre’s interest in business was diversified through his contacts with Hector Bossange, whose father, Martin, was a famous Parisian bookseller. 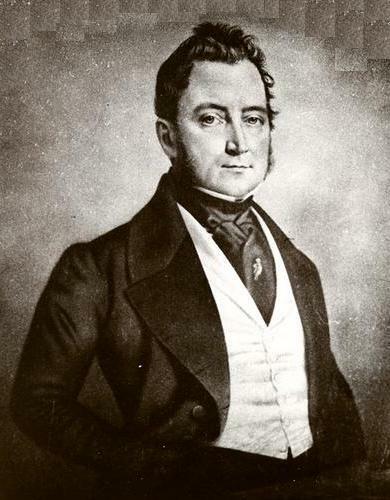 Hector, after a brief stay at Quebec, settled in Montreal and in 1815 opened the Bossange bookstore as a branch of the Galeries Bossange in Paris, then considered among the largest firms in the business. 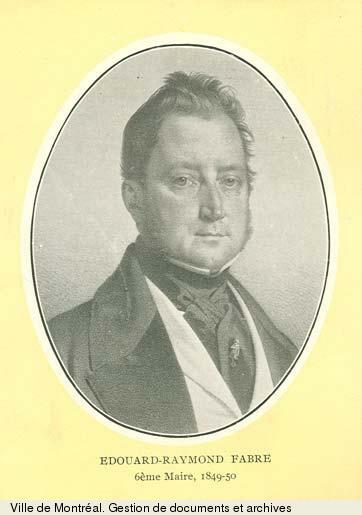 Shortly after arriving in Montreal, Bossange began to visit the Fabres, and in 1816 he married Julie, who was both friend and confidante to her brother Édouard-Raymond. 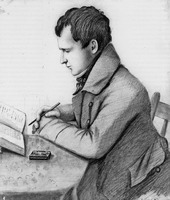 In 1822 Fabre left Montreal for Paris, where in the course of a year he acquired a working knowledge of the bookseller’s trade at the Galeries Bossange. His going to France showed that he liked change, enjoyed taking risks, and had a conscious desire for independence. In “the world’s premier city,” which he would visit again in 1843, Fabre learned about the complex financial, commercial, and cultural aspects of the trade he would take up on his return to Montreal. 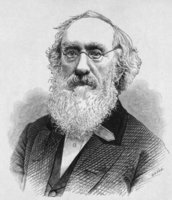 He was to be the first real bookseller in Lower Canada. Back in Montreal in 1823, Fabre purchased from Théophile Dufort the goodwill of a bookstore that had belonged to the Bossange firm and had been acquired by Dufort in 1819. Fabre soon added to its modest stock through the good contacts he had made in France. From 1823 to 1828 this store was known as the Librairie Française or Librairie Édouard-Raymond Fabre. During this period Fabre married, on 2 May 1826 in Montreal, Luce Perrault, the daughter of Julien Perrault. In this way he became allied to a family that, according to Laurent-Olivier David*, was one “of the oldest and most highly esteemed in [the] country.” Because of difficulties in choosing stock for his French Canadian clientele Fabre terminated the special relations he had maintained with the Bossange firm, and in 1828 went into partnership with his brother-in-law Louis Perrault*, a printer. The two men did business under the name Librairie Fabre et Perrault until 1835. To improve his services, on several occasions Fabre sent Perrault to Europe on buying trips. The initial plan was that Perrault would “establish himself in Paris,” since Fabre wanted to have a permanent agent there to conduct his business more efficiently and avoid costly middlemen. In 1835 Fabre and Perrault dissolved their partnership, and the bookstore resumed the name Librairie Française or Librairie Édouard-Raymond Fabre, with Fabre announcing that the business would remain in operation under his name alone. That year Fabre hired Jean-Adolphe Gravel, the son of his sister Sophie, as a clerk. His bookstore occupied the first floor of a large stone dwelling at the corner of Rue Saint-Vincent and Rue Notre-Dame. The house was owned by the Perrault family and was rented by Fabre until 1844, when he bought the property, and there fitted up “a magnificent shop in the French style, 20 feet by 60.” In the same year he took Gravel, only 24 at the time, into partnership, and the Société Fabre et Gravel was set up. The description of the assets put in by uncle and nephew indicates that Fabre invested £3,755 12s. 0d. in the company, and Gravel contributed his time, industry, and talents. The partners at first shared profits and losses unequally but after a time split them on an equal basis. Until his death in 1854 Fabre remained in the book trade with Gravel. In the course of his 31 years in business Fabre was thus involved in three partnerships with a common element: all three partners were, in varying degrees, his relatives. The clientele of the Fabre firm consisted of members of the clergy and the liberal professions, teachers, students, and businessmen. The 1830, 1835, and 1837 catalogues show the predominance of, and progression in, religious texts. This evolution is a significant one. Religious knowledge and change in styles of devotion and piety were fostered in Lower Canada by numerous printed works, which no doubt decisively influenced the expansion and maintenance of the new trends. The firm’s inventories also demonstrate an obvious decline in literary and philosophical works as compared with religious and school texts. The catalogues of the 1830s included the chief philosophical and literary works of the time, as well as the great writings of ecclesiastical authors such as St Augustine, Bourdaloue, Abbé François, François de Sales, Fénelon, and Bossuet, but the 1854–55 catalogue was no longer of this exceptional quality. The increase in the quantity of pedagogical texts, which was linked with the great strides being made in primary education, was a major factor in the development of Fabre’s business. This increase occurred at the expense of jurisprudence, history, and politics, and, surprisingly enough, of technical subjects and trades. The first catalogues presented a whole body of works related to apprenticeships (the 1837 one offered theoretical and practical manuals for 38 different trades) which apparently were of interest to quite a large clientele, but they virtually disappeared from the shelves of the Librairie Fabre et Gravel, judging by the 1854–55 inventory. It is difficult to be precise about the changing nature of the merchandise carried by the Fabre firm. According to advertisements in La Minerve, before his trip to Paris in 1843 Fabre was offering, besides a fairly wide range of volumes, such items as envelopes, account-books, ledgers, visiting cards, pens, sketching pencils, and paper suitable for writing, drawing, and printing. In addition, the store sold books of worship, religious pictures and engravings, lithographs, maps, school supplies, and gift-books. The Librairie Fabre was the repository of official documents in Montreal, including provincial statutes and ordinances and acts of the imperial parliament relating to Lower Canada. From 1830 it carried various objects used in worship: chalices, ciboria, monstrances, holy-water basins, altar cards, pascal candlesticks, stations of the cross in soft cloth, and basins for baptismal fonts. As a result of Fabre’s trip to Paris in 1843, the merchandise offered by his firm was modified substantially. The volume of transactions he had carried out in France can be surmised from the announcement he made in La Minerve on his return. It states that Fabre was waiting for “about 80 cases and bales” containing in part goods traditionally sold in his bookstore but in addition an entirely new category of merchandise, including perfume, gloves, shoes, umbrellas, suspenders, ties, champagne, absinth, and gruyère cheese. From 1828 to 1835 Fabre et Perrault owned a printing shop which was extremely active, publishing at least five titles a year. There were many ways to finance publishing in Lower Canada at that time: by subscription or agreement in advance to purchase, by association between a bookseller and a printer in return for exclusive rights of sale, or by agreements between booksellers. 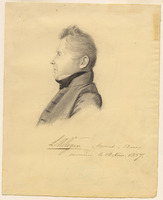 As an example, the Fabre firm and that of John Neilson* in Quebec concluded agreements concerning exchanges of works published by either house. In all, 49 publications have been found with which the Fabre firm was associated between 1827 and 1854. The company’s operations as a whole – publishing, book-binding, and importing books and various types of goods – ensured Fabre’s financial success. Behind this success can be seen his ability to balance the goods offered with the main areas of demand, and to establish stable, diversified relations with publishers and booksellers in France. As a businessman he showed himself able to adapt to changing circumstances concerning power and resources. He knew how to turn to account the rising forces of conservatism and clericalism. Although Fabre devoted tremendous energy to ensuring the success of his business, he found the great political debates of his time no less absorbing. By 1827 he was moving in the Montreal Patriote circles frequented by his brother-in-law and friend Charles-Ovide Perrault, who was then a clerk working for Denis-Benjamin Viger*, the cousin of Louis-Joseph Papineau*. According to his biographer, Joseph Doutre*, Fabre first became involved in political developments during both the general elections that year and the mission of Viger, Neilson, and Augustin Cuvillier* in England in 1828. He was soon strongly influencing the actions of public figures, and his office became the daily meeting-place for the leaders of the Patriote party. It was in this context that Fabre consolidated his business and gradually began to take a part in the public affairs of Lower Canada prior to the rebellion of 1837. 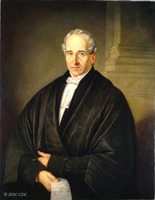 From 1832 to 1837 Fabre held offices and exerted an influence of prime importance in the institutions set up by the Patriotes. In 1832 he was a founding member of the Maison Canadienne de Commerce. 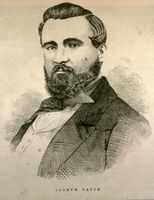 He was secretary of this group’s first meeting, held at the Nelson Hotel, gathering there with his friends Côme-Séraphin Cherrier*, Pierre-Dominique Larocque, Dominique Mondelet*, and Pierre-Dominique Debartzch*. The Maison Canadienne de Commerce sought to draw French Canadian business circles together, to ensure that they worked their way “into big business,” and to set up warehouses for imported goods from which retail merchants could obtain supplies without having to go through the large British houses. This initiative embodied the clearly expressed intention of an élite mainly composed of Montreal reformers to channel and control the savings of ordinary people, with a view to using them as a powerful weapon in its struggle against the colony’s government. In 1834 Fabre signed the act of association for the creation of the Banque du Peuple with, among others, Louis-Michel Viger, Jacob De Witt, and Joseph Roy. He was appointed treasurer of the bank, and received subscriptions for it at his offices. The Banque du Peuple opened in 1835. That year Fabre took part with Denis-Benjamin Viger, De Witt, Roy, Augustin-Norbert Morin*, Edmund Bailey O’Callaghan*, Léon Asselin, and André Ouimet in the founding of the Union Patriotique in Montreal. The aims of this association were to spread knowledge, obtain responsible government, improve means of communication in the colony, secure the prompt and cheap administration of justice, and oppose by all means undue intervention by the Colonial Office, the Treasury, or the War Office. These goals were exactly those of the Patriote party as succinctly expressed in a letter sent in 1834 by the Patriote leaders of the Montreal region to those of the Quebec region. Fabre was made treasurer of the Union Patriotique. Besides his simultaneous responsibilities at the Maison Canadienne de Commerce, the Banque du Peuple, and the Union Patriotique, in 1835 he was a member of the group that owned the steamship Le Patriote. In April of that year he was elected secretary-treasurer of the general management committee of this group and of its executive committee. He was also closely connected with the new Association Saint-Jean-Baptiste, being one of its most active organizers in Montreal. Fabre gave considerable financial help to the information and publicity agencies of the Patriote party. He made sure that La Minerve, Ludger Duvernay’s newspaper, was kept going. When in 1832 Duvernay was jailed for libel, Fabre immediately intervened, promising the editor on his arrest that he would “put [his] affairs in order.” In 1836 Duvernay was in jail again for libel. Fabre launched and chaired a great fund-raising drive “to compensate M. Duvernay for his imprisonment.” Fabre had also purchased in 1832 the Vindicator and Canadian Advertiser, an English-language paper of Patriote allegiance which his friend O’Callaghan was to run. Having become a friend of Papineau, for whom he had unbounded admiration, Fabre served as his adviser before the rebellion. 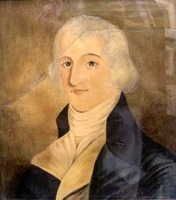 He accompanied Papineau to the principal meetings that preceded the outbreak of the rebellion. 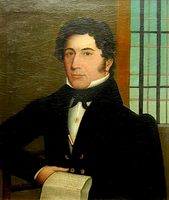 On 15 May 1837 he participated in the one at Saint-Laurent, where he was elected a delegate to the Convention Générale, a sort of estates general of the Patriotes, and a member of the permanent committee to attend to the political interests of Montreal riding. On 28 June he chaired the great protest meeting in Montreal, where Papineau in effect launched the insurrectionary movement. Fabre opened proceedings by invoking the rights of the people and warning of the looming dangers of a tyranny. A few hours before the rebellion broke out on 23 Nov. 1837, Fabre appeared at Saint-Denis on the Richelieu to persuade Papineau and O’Callaghan to flee to the United States. He himself did not leave Lower Canada, but he had to absent himself from Montreal for seven months. He stayed in hiding at Contrecœur, Lavaltrie, or neighbouring villages. Besides having to endure separation from his family and friends, Fabre was upset by his wife’s state of health following a miscarriage, as well as by the death of his brother-in-law, Charles-Ovide Perrault, in the battle of Saint-Denis. He was finally arrested and sent to jail in Montreal on 12 Dec. 1838; according to Doutre, the authorities, lacking evidence, were forced to release him a month later. Considering his activity before November 1837, it is amazing that he was not arrested sooner. His imprisonment must therefore be attributed to the attempted invasion of Lower Canada under Robert Nelson* and Cyrille-Hector-Octave Côté*. Once the rebellion was over, Fabre did not ignore the plight of the French Canadians in exile. 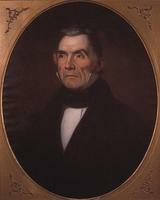 At first he served as an intermediary between Lower Canada and some of the refugees, particularly Papineau and Duvernay. During Papineau’s exile Fabre still remained his friend. In 1843 he went to Paris for reasons of business but also to see “his very dear friend.” Fabre began to dream of the return of Papineau, whom he saw as French Canada’s only saviour. Duvernay had already benefited from Fabre’s support during his imprisonment, and in exile could still count on Fabre’s being in Montreal and on his readiness to help. When Duvernay returned, D.-B. Viger and Fabre assisted in reorganizing La Minerve. However, Fabre’s action on behalf of the exiles went well beyond the small circle of his Montreal connections. On 19 Dec. 1843 La Minerve published an address which included a proposal to found the Association de la Délivrance. Fabre was appointed treasurer of the new body, and in this capacity played an outstanding role in solving the problem of the exiles’ return. He left no stone unturned to secure their repatriation. By 1846 the last of them were back “in the homeland,” and Fabre could congratulate himself on having completed his task. As soon as Papineau returned in 1845, Fabre passionately wanted the former leader of the Patriote party to resume his place in the political arena. 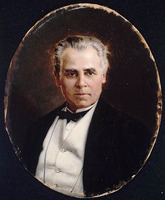 No matter what others thought, he was sure that Papineau’s presence in the assembly would by itself re-establish his leadership. 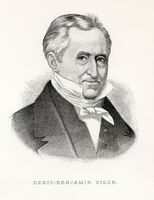 In the 1847–48 elections, which brought the overwhelming defeat of Denis-Benjamin Viger’s government and the spectacular come-back of Louis-Hippolyte La Fontaine*, Papineau won a seat. 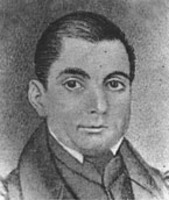 He re-entered the Legislative Assembly in April 1848, but hopes soon fell: Papineau did not “create a sensation” in the house or regain his influence. Increasingly isolated, the little group around Papineau, which included Fabre, had been worried since Viger’s defeat about its bad relations with the press. Duvernay’s La Minerve did not approve of the former Patriote leader’s radicalism. 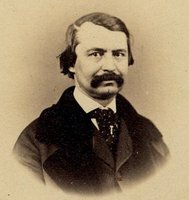 But L’Avenir, as the mouthpiece for the Rouges of the Institut Canadien, had supported Papineau’s views, particularly on annexation to the United States, and was becoming more radical. It clashed with the Mélanges religieux, the unofficial organ of the diocese of Montreal, over the delicate matter of relations between the religious and political authorities. Fabre had backed L’Avenir, but he severed his ties with it and in January 1852 started Le Pays with Jacques-Alexis Plinguet. This moderating intervention in the liberal press by Fabre was probably related to a need to pay attention to a certain clientele and institution – the church – whose growing strength was having important economic repercussions for his bookstore. Fabre’s commitment to public affairs led him at that time to take up municipal politics. In 1848 he yielded to urgent pleas from voters and stood as a candidate. He was easily elected councillor for the East Ward, and was nominated alderman and chairman of the finance committee of the council. In 1849 he was elected mayor of Montreal. It seems that Fabre’s success as chairman of the finance committee explains his election, which came unsought. During his first term of office Fabre worked steadily to reorganize the city’s finances under extremely difficult economic circumstances. He got the municipal council to adopt measures to suppress the riots which had led to the burning down of the Parliament Buildings in Montreal after the passing of the Rebellion Losses Act. He further applied himself to increasing protective and preventive measures to counter the cholera epidemic raging in the city that year. 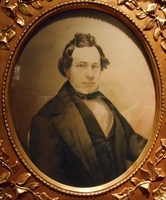 Re-elected by acclamation in 1850, against his own wishes he became mayor for a second term. In his farewell address on 28 Feb. 1851, he thanked the councillors and aldermen for their cooperation and used the occasion to sum up the achievements of the past two years of his administration. A close reading of this speech suggests that he exerted on the 11 departments and on the officials running them an influence that no mayor of Montreal had ever exercised before. 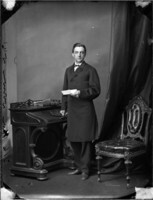 In 1850 Fabre had also been elected president of the Association Saint-Jean-Baptiste de Montréal, an office he held for a year, at a time when his business and political activity, in the context of prevailing economic difficulties, left him scant opportunity to give attention to this “national” society. ACAM, 576, F; 902.002; RCD XXIX. ANQ-M, CE1-51, 15 sept. 1799, 2 mai 1826, 17 juill. 1854; CN1-135; CN1-295, 8 mai 1826; CN1-311, 25 oct. 1854–31 mars 1855; CN1-312, 17 mars 1842. ANQ-Q, P-9; P-68; P-69; P1000-37-694; P1000-76-1540. Arch. de la ville de Montréal, Doc. administratifs, commissions, 1843–54; divers, 1843–54; procès-verbaux du conseil municipal, 1843–54; règlements, 1843–54. McGill Univ. Libraries, Dept. of Rare Books and Special Coll. (Montreal), ms coll., “Livre de notes d’É.-R. Fabre” (Paris, 4 mai 1843—Montréal, 7 juill. 1843); lettre d’É.-R. Fabre. PAC, MG 24, B1, 1; B6, 1–5; B37, 1–2; B46, 1; B50; C3; RG 4, B37, 1–5. L’Avenir, juill. 1847–déc. 1854. Mélanges religieux, 1848–52. La Minerve, 1826–37, 1842–54. Montreal Gazette, 1849–54. Le Pays, janv. 1852–déc. 1854. Vindicator and Canadian Advertiser (Montreal), 1832–35. Montreal directory, 1842–54. Hector Berthelot, Montréal, le bon vieux temps, É.-Z. Massicotte, compil. (2v. in 1, 2e éd., Montréal, 1924), 2: 24–26. J. D. Borthwick, History of the Montreal prison from A.D. 1748 to A.D. 1886 . . . (Montreal, 1886), 67. David, Patriotes, 73–75. Joseph Doutre, “Notice biographique sur feu Édouard R. Fabre, écr. . . . ,” Institut canadien en 1855, J.-L. Lafontaine, édit. (Montréal, 1855), 117–49. Antonio Drolet, Les bibliothèques canadiennes, 1604–1960 (Ottawa, 1965), 77. Hist. de Montréal (Lamothe et al.). Maurault, Le collège de Montréal (Dansereau; 1967). 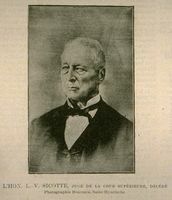 J.-L. Roy, Édouard-Raymond Fabre. Marcel Trudel, L’influence de Voltaire au Canada (2v., Montréal, 1945), 1: 128. Cabrette [É.-Z. Massicotte], “Les disparus,” BRH, 30 (1924): 232. Alfred Duclos De Celles, “La maison canadienne,” BRH, 11 (1905): 220. 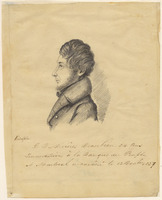 Édouard Fabre Surveyer, “Charles-Ovide Perrault (1809–1837),” RSC Trans., 3rd ser., 31 (1937), sect.i: 151–64; “Édouard-Raymond Fabre d’après sa correspondance et ses contemporains,” 38 (1944), sect.i: 89–112. É.-Z. Massicotte, “Cinquante ans de librairie à Montréal,” BRH, 49 (1943): 103–7; “Nos anciens présidents: Édouard-Raymond Fabre, président en 1850,” La Rev. nationale (Montréal), 7 (1925): 283. Léon Trépanier, “Figures de maires: Édouard-Raymond Fabre,” Cahiers des Dix, 24 (1959): 189–208. Jean-Louis Roy, “FABRE, ÉDOUARD-RAYMOND,” in Dictionary of Canadian Biography, vol. 8, University of Toronto/Université Laval, 2003–, accessed April 24, 2019, http://www.biographi.ca/en/bio/fabre_edouard_raymond_8E.html.